Some days I simply wake up with the itch to bake. Creaming together butter and sugar then adding layers of flavor and sprinkling in the dry ingredients is just the activity I need to take me to my happy place. It’s cathartic. The other day I woke up this exact feeling. A need to bake. I turned to my small helpers for inspiration. They both thought, “cookies!” were the treat to make. I couldn’t agree more. 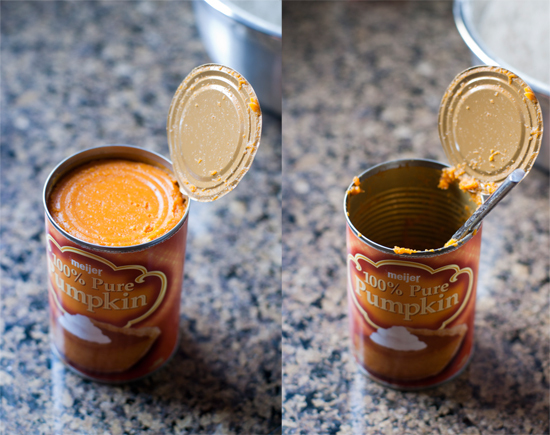 A quick scan of my pantry shelves turned up one of my favorite Fall ingredients: canned pumpkin. 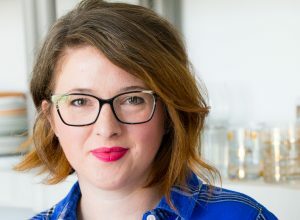 I usually stock up on this pantry staple – buying a few cans here and there whenever I see them on sale, but the last few years, however, I was met with unexpectedly empty shelves at the store. Apparently there was a pumpkin shortage, and little to no cans of pumpkin were available. What? How bizarre. Refusing to be put off from making my pumpkin desserts, I experimented with roasting my own sugar pie pumpkins to make my own pumpkin puree. It was actually quite easy to do but still a lot more involved than opening a can. Luckily this year there doesn’t seem to be such a problem – at least in my neck of the woods. So I have been happily buying up cans of pumpkin puree with each trip to the store. I feel alive again. 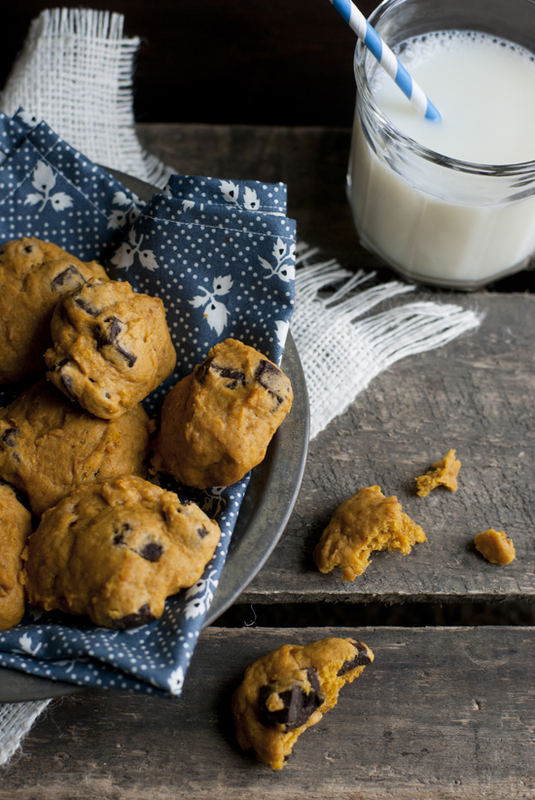 With my can of pumpkin in hand, I eye-balled a bag of dark chocolate chunks and quickly came to the conclusion that these two ingredients could become fast friends. I have already experimented with the pumpkin/chocolate combo this fallwith great results and so I figured they couldn’t go wrong in cookie form either. These cookies turned out spiced, cakey and studded with rich, dark chocolate chunks. They were eaten at an alarming speed – so fast that I almost didn’t have any left to take photos of. With the last click of the camera the remaining cookies disappeared. It turns out eating the cookies is just as cathartic as making them. Who knew? 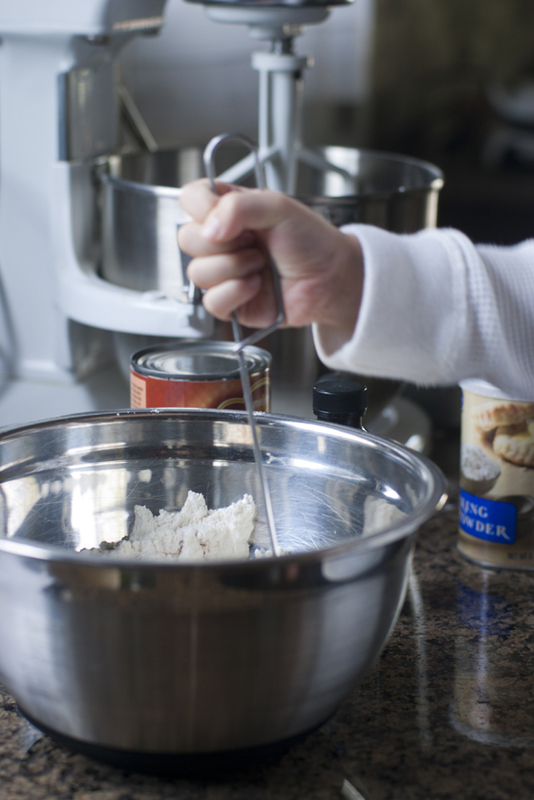 In a medium bowl, whisk together flour, baking powder, baking soda, pumpkin pie spice and salt. Set aside. In a bowl of an electric mixer outfitted with a paddle attachment, cream butter and sugar together until light and fluffy. Add egg and vanilla and mix until combined. Add canned pumpkin and beat until just combined. Do not over mix the dough. Using a spatula, gently fold chocolate chunks in by hand. 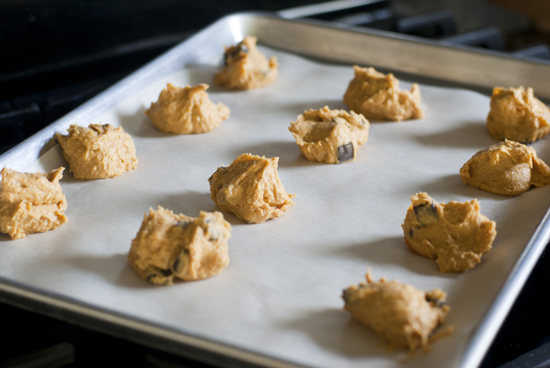 Drop batter by the heaping tablespoon onto prepared baking sheets. Bake for 17-20 minutes or until cookies are set. Transfer cookies to wire racks to cool. Store cookies in an air tight container for 3 days. These are incredibly delicious! Nearly addictive! They have a unique, texture in addition to great flavor. I need to get out of the house so I’ll stop eating them!! Hi Marta! Thanks for stopping by and saying hi! I have used this method in the past with great results: preheat oven to 400 degrees F, place a sugar pumpkin in a baking dish and pierce the skin several times with a sharp knife. Add an inch of water in the bottom of the dish and bake until skin can be easily pierced and flesh is very soft. Remove top and scoop out seeds. Remove the skin and discard top, seeds and skin. 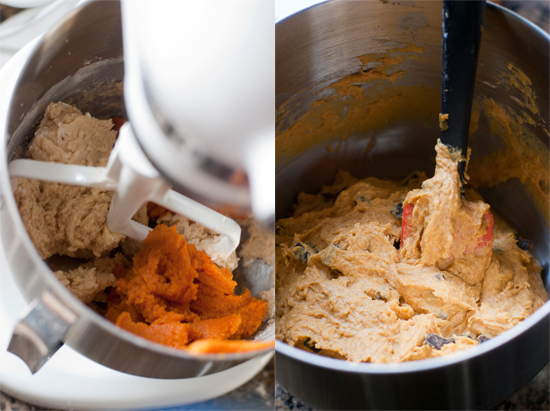 Place flesh in food processor and pulse until smooth. This can be put in the fridge for 3 days or frozen for up to one month, good luck and happy baking! These looks so good!! 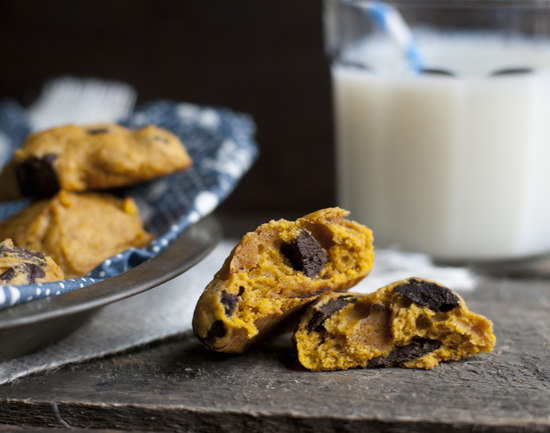 I love pumpkin and chocolate 🙂 These would probably be just as good with chocolate chips as chunks, right? I love this site, Emily. Your pictures are amazing!